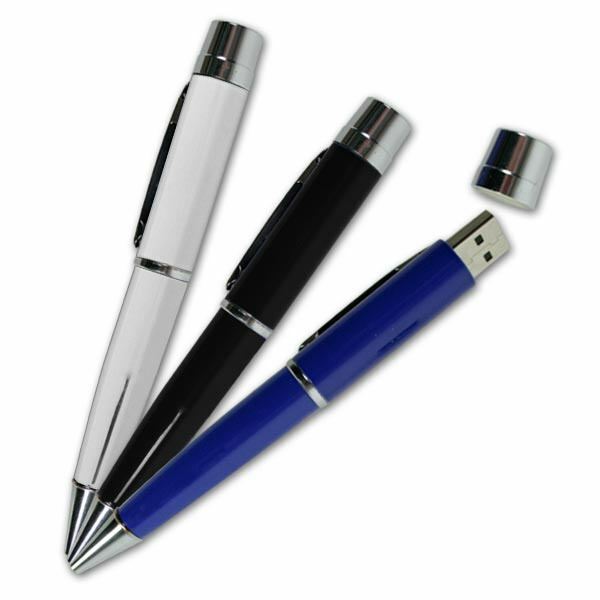 The Data Pen is a convenient promotional USB drive and pen all in one. The small cap on the top of drive hides the connector so it looks appears to be a standard pen. Anything but standard, it’s a valuable and appealing marketing solution that comes in blue, black, silver colors and a logo can be silk screened in up to 4 colors. Write your own future! Write your own sales history with the Promotional Pen, a marketing tool that is worth the investment. This valuable product features dual functionalities: as a writing implement and data storage device. It comes in mature and professional black, silver, or blue. Silkscreen printing will make even the simplest logo elegant on the casing of this drive. Write and store data easily. Customers will love this as a convention giveaway or freebie.